As part of our commitment to be the end-to-end provider for all your bottling and packaging needs, we work closely with our partners at Paragon Label to offer a number of custom label printing options. 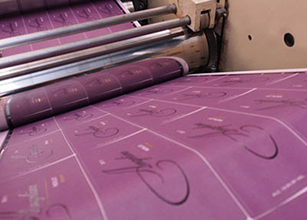 Paragon Label is a family-owned company specializing in printing fine quality, pressure-sensitive labels for the wine, food, health and beauty industry. Located in the heart of the wine country in Petaluma, California, Paragon Label was launched in 1998 as a division of Mrs. Grossman's, one of the largest and most respected decorative sticker manufacturers in the world. Today Paragon Label runs five Flexo presses, a HP digital press, a one-of-a-kind laser-cutting system and state-of-the-art foil and embossing presses. Their team is committed to excellence – from printing to customer service to sustainability. Attesting to those values, Paragon Label has won more than twenty regional, national and international awards for both their fine quality printing and extraordinary environmental practices. We chose to work with Paragon Label because both our companies know your label represents your product as well as your company. We take this very seriously and it's why we are dedicated to getting you the finest and highest quality label while providing extraordinary customer service. For more information about the wide variety of label solutions we offer as part of this exclusive partnership, please contact us today.